2) After 3 mins, drain and immediately run cold water over the broccoli to stop it cooking. I usually do this until the broccoli stops steaming but is still warm. 3) Return broccoli to pot. Add olive oil, sesame oil and soy sauce. Then close pot and give it a good shake to ensure that broccoli is evenly coated. 4) Serve and garnish with your choice of toppings. My favourites are sliced chilis and toasted almond flakes. This dish is very flexible and tastes great served with everything from rice and asian stir-fries, to a pan-fried duckbreast. I also quite happily eat leftovers by itself as a cold broccoli salad. The icing on the cake? My kids love it too! 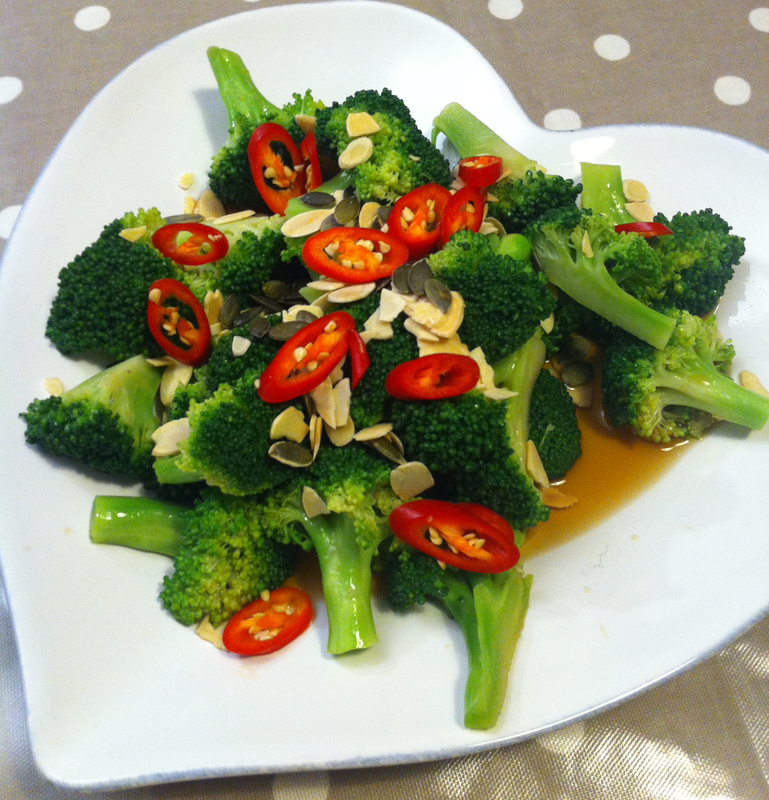 This entry was posted in Food, Recipes and tagged Broccoli, child-friendly, quick, Salad, Side-dish, Vegetables. Bookmark the permalink.